Everyone involved with Hamilton in any capacity has probably been asked "How do I get tickets?" more than once. Tickets to the hit musical are highly sought after and that extended to the press room at the Tony Awards on Sunday night. And now that the show is not only a Grammy and Pulitzer Prize winner, but also the winner of 11 Tonys, the odds of snagging a seat to a performance may seem all but impossible. Luckily, in the press room the musical's lead producer Jeffrey Seller confirmed that the Hamilton ticket lottery will soon be easier to win, so the odds just may be in your favor. Right now, 21 people win $10 front row tickets to a Hamilton show every day through an online lottery. Considering that according to the musical's website, an average of 10,000 people enter each lottery, those odds aren't great. But in the Tonys' press room, Hamilton producer Jeffrey Seller confirmed a report from The New York Times that soon that amount will increase and 46 $10-tickets will be up for grabs in the lottery. According to the producers, the change will take effect on Jan. 31, 2017, so mark your calendar if you want to try your luck. This may still not quell the hype of the thousands of people aiming to get tickets, but it does more than double the amount currently available and therefore the odds of winning. And though Jan. 31 may seem far away, in the meantime, you can always rewatch the cast's two excellent performances at the Tonys. First, they performed a medley of History Has Its Eyes On You" and "Yorktown (The World Turned Upside Down)," which you can watch below. 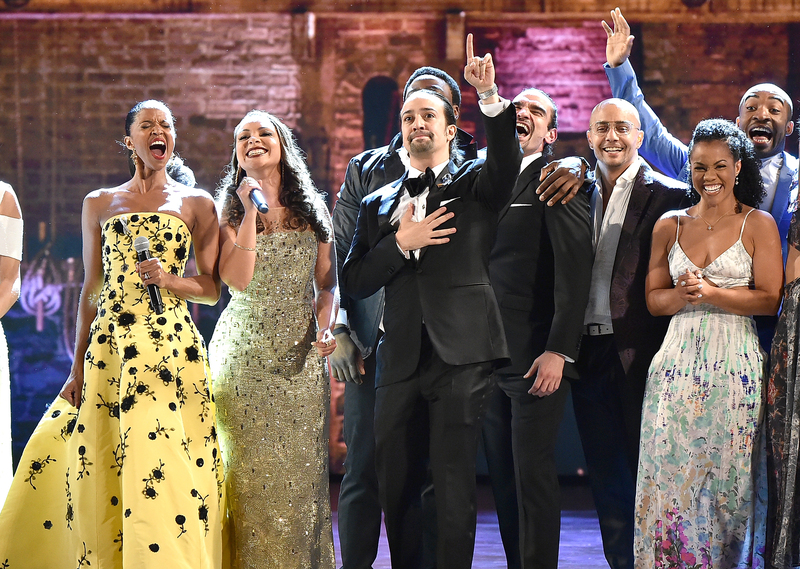 Then at the very end of the Tonys, the cast surprised viewers by performing "The Schuyler Sisters" just moments after they took home the prize for Best Musical. Thankfully, more of us will have the chance to see those brilliant performances live next year.